Bookseller in Douglas, WM Local Preacher, personal friend of Robert Aitken, trustee of Crosby Chapel and Eyreton School. Became embroiled in Warren affair in 1835 by selling anti-Bunting publication. Expelled at a stormy meeting and printed broadside risposte. First mention of business in in 1822 when advertises shop in Fancy Street ('at door below Post Office'); admitted as Local Preacher in July 1823. First wife, Ann, died age 31 (Manx Adv. 13-Dec-1831); married Eleanor Quirk of Peel (? 7- Feb 1832). "3rd: that a note be sent to Mr John Cain authorising him to appear at the adjourned Quarter day meeting next Friday evening to answer the charge preferred against him viz countenacing and assisting the Angelite Missionary who at present is labouring to impede the progress of truth in Douglas"
The adjourned meeting "resolved as J Cain has refused to attend the meeting to answer the charges preferred against him at the last meeting but sent in his resignation as a preacher and member, that the same be accepted." However he seems to have been re-admitted as a member and continued preaching for in the minutes for 15 Dec 1843 "that a note be sent to J. Cain that he preach no more until his case be reconsidered by the Quarterly Meeting" which appears to have re-accepted him. In 1851 census, address given as 8 Great George Street (bookseller) - wife Margaret age 46 with no young children. Died 15 Jan 1852; in 1863 (Thwaites directory) Margaret Cain still shown as bookseller/stationer. 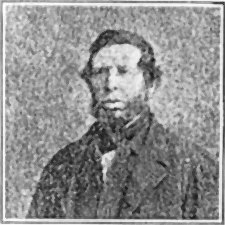 Left Son, Jabez Cain who married Esther, daughter of Thomas Kneale on 12 Mar 1853. Thomas was a tanner at Stockport and afterwards in Drumold St Douglas. In the late 1830's he purchased a plot of ground at Douglas from Finch Road and down to Back Sand St. On the portion in Finch Rd he built 4 good sized houses one of which he lived in (that nearest the corner of Well Rd). Below there were gardens and below these the tan yard. Still near the bottom stands Well Hill Rd Chapel on ground perhaps given by him. The tannery was carried on from its commencement till the early nineties when John Philip Cain gave up tanning--a business which scarcely pays now a days)--but old Thomas made it pay. He died a man of wealth. Indeed the only wealthy one of the family, tho many are comfortable. He like his father was an ardent Wesleyan. When said Thomas commenced on his own he prayed to the Almighty to prosper him and his business and if successful he would give a certain percentage of his yearly profits to the Wesleyan cause. He was successful and gave considerably more than the "percentage". He was strictly just and honest in all his dealings but the tradesmen who bought his leather said he was the hardest man to do with they ever saw as he always exacted the utmost price. Though one of the greatest Wesleyans in the Island, he left word he was to be buried by Parson Drury of Braddan. So shocked were the Wesleyan ministers they could not think of entering the cemetery gates on the day of funeral; they went back however and partook of the funeral dinner. One of the Manx papers of the period says "The funeral procession included the Wesleyan Sundy Schools of Thomas St and Well Hill Rd, the vicar of Braddan, the incumbants of St Barnabas, St George, St Thomas's the Rev Theophilus Talbot, the circuit ministers of the Wesleyan Methodists and ministers of other denominations. In accordance with the wish of deceased the Rev W Drury performed the funeral service. We regret to heat that for some reason connected with the service being performed by a clergyman of the Church of England" the three ministers of the Douglas Circuit of Wesleyan remained outside the cemetery during the burial service" The Wesleyans were sadly disappointed because they did not get an immense haul by his will. Quoted from Rosser (Letter7): Mr. John Cannell was called into the regular work in 1837, and appointed to the Douglas circuit. After labouring for six years in the Isle of Man he was removed to England where he still ministers the word of life with acceptance and success. The Rev. Wm. Carr though a Lancashire man, is thoroughly at home in the Isle of Man he having married a Manx lady. He underwent training at Hartley College, and has been 15 years in the Primitive Methodist ministry. His first term of ministerial service in the Island was in Douglas, while he now superintends the Laxey circuit. In Crewe and in Spen Valley be was prominent in Free Church Council work. In regard to Insular religious enterprise, he assisted in forming the I.O.M. Christian Endeavour Union, of which he is now president. The successful P.S.A. at Laxey (now in its third winter's work) has had Mr Carr's leadership and presidency from the start; and his penchant in regard to social conditions is shown by his recent appearance in the Douglas courts - first in opposition to the grant of a new liquor licence at Baldrine, and secondly in protesting against compulsory vaccination. Evan Christian (b. 1803, d. 1874), of Lewaigue, was a descendant of the Ewan Christian already mentioned. In his early life he was a soldier, but returned to his native island when quite young. He at once became an earnest local preacher in connexion with the Wesleyans, and indeed he devoted so much of his time and energy to religious work; that he somewhat neglected his property and died in very poor circumstances. Like many of his ancestors, he was captain of the parish of Maughold. Some time before his death he was presented with a testimonial in token of his unwearying exertions in the temperance cause. In one of the obituary notices of his career he is referred to as having spent fifty years "in relieving the troubles, losses, and trials of his fellow-countrymen, in warning the erring, in reclaiming the drunkard, in preaching the Gospel to the poor, in assisting the striving, comforting the widow, caring for the fatherless and orphan, in works of charity, mercy, and brotherly kindness ," and, according to another account, " his uniform uprightness in business, his evident desire to sow seed by all waters, and to do good in his day and generation, will be remembered, and will surely bear good fruit." I. That his conduct was consistent.-Having fled to Christ, and found acceptance with God, he evinced to all around that he was "a new creature," standing firm in the liberty wherewith Christ hind made him free,., and showing to all the moral beauties of the religion of the Son of God. He stood before the world unconvicted of wrong. II. He had zeal for the advancement of the Gospel.-To accomplish this object he laboured and travelled much as a local preacher for many years. He appeared free from that low idea which seems to say, "How little can I do and yet maintain my place? 'He was ever ready to do what he could in his own appointments, or as a supply for others. Of him it may truly be said, "He was diligent in business, fervent in spirit, serving the Lord." Hence, said a brother to me respecting his death, "We have lost one of our hardest working men." III. His talents and usefulness as a preacher.-His talents, in the eyes of superficial people, were not of the first order; but his public efforts were free from affectation, full of zeal, earnest, and faithful, leading the people to diligence in the use of the means of grace, to keep alive the holy fire in their souls. He loved open-air meetings, as being well calculated to draw wanderers to the house of God. On one occasion he had a glorious manifestation of the presence and power of God, in 'the open air. Captain John Corlett accompanied him to Port-le-Murray, a distance of fifteen miles, and when they arrived the house was too small for the people, so they went to the pier by the new quay and sang a hymn. The round reached to the How, and the people came down the mountain in all directions, and the preacher and congregation from the Wesleyan chapel came in a body. Brother Corlett spoke first, and the seamen listened with great attention to his words. Brother Christian spoke next, and the power of God fell upon all present; there 'was a great breaking down among sinners, and believers were filled with joy. The time will long be remembered by the people in that neighbourhood. IV. His affliction and death.-After being ill some time, it was thought advisable to take him into the country; therefore on September 15th my son took him to his brother's; but he became so much worse, that on the 17th I went for him, back. He was then so ill that I thought he would have died in. the conveyance. I asked him how he stood as to preparation for eternity. He said, "I am ready. From my first starting I have aimed at being ready, and now I feel all is right. All is right!" The same evening he said to brother Corlett, "All is right! all is right!" Brother Shipley was with him most of Sunday, and found him waiting in patience for his change. Brother Pritchard called about two o'clock on Sunday, and said to him, You are planned for Sluie Charn to-day." "Yes," said he, pointing upwards, and alluding to the meaning of "Sluie Charn," namely, "Mount of God," and about three o'clock on September 19th, 1852, he took his departure for his appointment on the "Mount of God" above, aged forty-four years. May we meet him in glory! Amen. S. Smith. Cofounder with Hugh Bourne of Primitive Methodist Connexion. Born Burslem, 1780, father a potter to which trade he was apprenticed at age of 12 to his uncle Joseph Wedgewood (thus missed out on most of education hence his reluctance to express himself in writing); his mother was daughter of Aaron Wedgewood. In his own words spent a 'profligate youth' (though from given details does not sound at all evil). Converted in 1805; from which time travelled extensively as exhorter and LP. Following formation of PM connexion travelled unceasingly until his retirement. Once visited Isle of Man. "Phil became the greatest Manx evangelist the Island has ever seen. Physically he was a man of great proportions, and his strength was equal he that of three ordinary men. He had a row of double teeth all round the lower jaw, a voice like the rolling of deep thunder. He could neither read nor write when he was converted, but had a good memory, and could easily remember portions of scripture and hymns which were read to him...". Died 11 Nov 1884 - Memorial Notice from P. Methodist Mag (? as given by relative) - married Maria Kenyon (Scot), eight children. ? was father WM LP ? Mr. John Corjeag , who was for 45 years a local preacher, died in the Lord at Ballalona, Michael, in the Ramsey Circuit, Isle of Man. His remains were interred in the parish burial ground on Monday, September 1884, and was attended by about 50 persons, including the vicar of the parish. Solemn and impressive services were held in the Primitive Methodist Chapel, Michael, and at the graveside, in which the Revs E. Tripp, J. Openshaw and H. Hatherley took part. It is a long time since the Ramsey Circuit has been called upon to yield to the demands of death an official who united so many amiable and useful qualities, and one who was so deservedly esteemed for his honourable character and work. Bro. Corjeag was a reliable man in the cause, and his death leaves a gap not easily filled up. He marched forward in the ranks of the sacramental host, proving his soldiership in the hard work of every campaign in which his church was engaged, and was never afraid of a tough engagement with the enemy, whether in the open air or in the sanctuary. In his case death had indeed lost its sting, and the younger members of the society who visited him felt that Christianity deprives death of all its terrors. After partaking of the sacrament in his own house a few days before his death, he said to the local preachers and others present, in a very impressive manner, "Whatever you do stick. to the cause." And now that with him the battle is fought and the victory is won, may we, when our own work is finished, also leave behind us a fragrant name. Then "Crowns and kingdoms may be won, but the Master's own "Well done!' will be best." 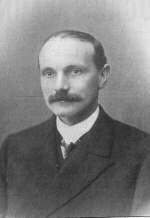 Mr JOHN CORLETT, local preacher and town missionary, Douglas circuit. Isle of Man. My dear brother John was born at Peel, on this island, in December, 1813. When he was twenty-one he came with his parents to reside at Tromode, near Douglas, where, through the instrumentality of a good man, now in heaven, he was brought to a saving acquaintance with God. The divine change that was effected in his heart immediately became visible in his life. Reading, prayer, and praise were evidently his delight. He regularly read his Bible through three times a year; and having a good memory, he became well armed with "the sword of the Spirit,' by which he was enabled to fight the battles of the Lord. His name soon appeared on our plan as a local preacher, in which capacity few have been more attentive to their duties, or more self-denying, he saw the importance and felt the responsibility of his office. Neither stormy weather, dark nights, nor long journeys could induce him to stay at home. As a preacher he was fervid, affectionate, faithful, and useful. For seventeen rears he was a staunch teetotaler, and a bold advocate of total abstinence principles he had also the best interests of the rising generation deeply at heart, and was much delighted whenever he could spend an hour in the Sabbath-School. After some years spent in the above manner, he made up his mind to go to sea. Now he became a. missionary indeed for in every port he entered he unfurled the bloodstained banner of the cross, and cried, " Behold the Lamb of God, which taketh away the sin of the world." In the Shetland Islands, on the coast of Scotland, and in Ireland, although in some places he met with much opposition, his labours were made a blessing to many souls. "September 30th, 1850. I this day commenced my labours as a town missionary in the name of the Lord, with my heart deeply impressed with the importance of the work; " and all who knew him could bear testimony to the correctness of this statement. Constrained by the lore of Christ, he laboured with all his might. Often was he found weeping with them that wept, and rejoicing with them that rejoiced. This was his boast : " The poor have the gospel preached to them," In him the poor have lost a friend, for he believed that giving to the poor was lending to the Lord. He toiled on in the mission for about three years, when it became visible that his once robust frame was shattered by excessive labour. During the greater part of his last year's labour he was afflicted with a severe cough, and with indigestion; consequently his work became extremely difficult to him. But notwithstanding his declining health during the last year of his labour, he spent 1327 hours in the service of the mission. He distributed, chiefly among sailors and boatmen, 789 tracts; held 182 meetings in the Bethel, and in various other places; read 480 portions of Scripture to families and individuals, besides conversing daily on religious subjects with sailors and others on shipboard, on the quay, on the sands, and in the streets; and made 1580 visits, 709 of which were to the sick and dying. He laboured as one who knew the number of his days was short. He was confined to his house for many months, and bore his, affliction with exemplary patience and resignation, evincing the truth and excellency of the religion which he had taught to others. Many precious, seasons have I had with him while speaking of death and eternity. On several occasions he said, "Oh, how I long to die and be with Christ! I am ready-oh yes, ready to go td Jesus." About a fortnight before his death he said to me, "Whither are you going to-day?" When I told him he said, "William, preach Christ, and tell poor sinners that Jesus died to save them: I always preached Christ, and now I am going to be with him. Yes, I -must die; I cannot live;" and clasping his hands, and lifting his eyes towards heaven, he exclaimed, "Glory, glory, glory be to God!" The Sunday following, when I called to see him, he said, " How are they getting on at Tromode?" I told him they were doing well. "Thank God-thank God for that," said he. He then inquired how they were going on at the village of O-. I told him they were very low. "Oh!" he said, "to think that I have spent so much labour there, and now there is little to be seen! but, bless God, I shall not lose my reward." The next time I called to see him he said he had been preaching a sermon in bed that morning from "Every eye shall see Him:' "O William" said he, "what a day will that be when every eye shall see Him' His tent on speaking of that day until the room was filled with glory, and he could say nothing more than "Glory, glory be to God !" The last time brother Hill visited him, in answer to a question relative to the state of his mind, he said, "I am like a vessel lying at anchor waiting for the tide, and a propitious breeze to waft me into the desired haven. Oh, how I long to depart and be with my Saviour ! Come, Lord Jesus, and come quickly." The night before his death, being asked if Christ was precious, he replied, "Yes, don't you feel Him? Glory be to God." During the night he repeatedly said, " Come, Lord Jesus, come quickly." He would raise his eyes towards heaven and say, "Glory, glory be to God.!" He frequently waved his hand in token of victory; and at about one o'clock on Tuesday, August 28th, 1854, his happy spirit took its flight to the throne of God. He died in his forty-first year, leaving a widow and child to deplore their loss; but their loss is his infinite gain. WILLIAM CORLETT. 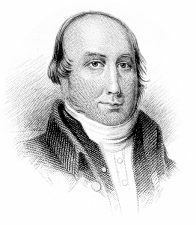 Quoted from Rosser (Letter7): "Mr. John Corlett was most cordially recommended by the district committee of 1823, and the following year was sent to an English circuit. 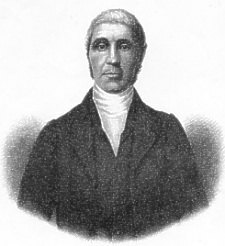 In 1825 he was appointed a missionary to Newfoundland, where he laboured for five years, when he removed to the West Indies, and has continued there as one of our greatly honoured and devoted missionaries to the present time "
'The Apostle to the Isle of Man' John Crook, saw little prospect of doing good when he came over from the Liverpool district in 1775. His Journal, March 1st, 1775, says "not a happy time; they think I turn preacher for what I can get" He said the island was a nest of smugglers but still he had some successes. Coming out of church in Peel he caught the regular congregation and gave them another sermon; and 'many were converted' of the four hundred he says listened to him. He had some impact on Peel and when his first six months tour ended the Peel folk asked Wesley to return Crook to them. 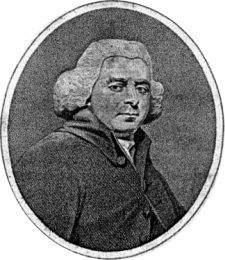 At the 1776 Conference he was accepted as a Travelling Preacher (minister) and sent to Whitehaven so that he had oversight of the island, and could 'easily' come to the island one month in-three! During 1776 he met with strong opposition. His meetings were broken up and Bishop Richmond sent a pastoral letter to his clergy warning against 'unqualified and unordained persons who presume to preach and set up conventicles. 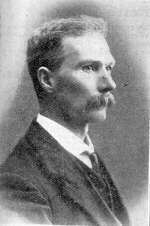 Crook instituted the Manx Conference, based on Peel, and he personally examined all candidates for the local preachers' plan. Brief mention in G. Slater Chronicles of Lives and Religion in Cheshire, London 1891 p478/9, 'possessed great force of character, and his power in the pulpit was irresistible'; Slater also quotes an amusing story of him being asked to pray for the health of a cow.